The partnership will work to create and implement an action plan for reducing the number of city residents affected by poverty. It will be guided by the recommendations of the Poverty Thought Force, formed by Mayor Allen-Joines and Rep. Derwin Montgomery in 2015 and tasked with finding local solutions that would be both impactful and feasible for reducing poverty. The process is designed to help leaders and organizations who want to proactively understand and address racism, both in their organization and in the community where the organization is working and for those persons who are interested in understanding and eliminating racial inequities and disparities within our society. Bake fresh desserts and make trail mix snack bags for families to take as a snack to the hospital. There will also be supplies available to make a special craft. All supplies will be provided. The Family House has a small play room where parents can keep an eye on playing children, or kids are welcome to participate in kid-friendly versions of the activities. There will be a nursing room and changing station available. This summer the Family House is offering four separate weeks for middle and high school students who are ready for an inside peek at what it takes to make a successful non-profit run. 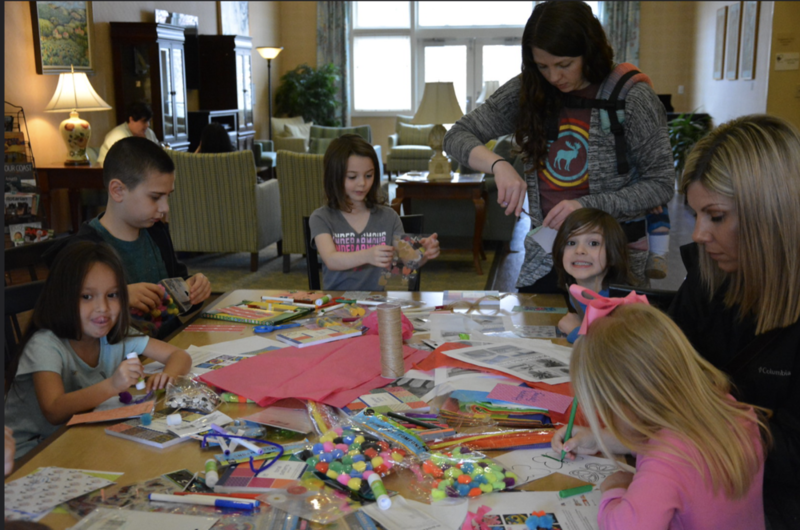 Students will visit a hospital, explore the various support services that the Family House provides to guests, cook a meal for guests- and so much more! Students receive 16 service hours upon completion and should apply as the grade they will be in the fall. Students receive 16 service hours upon completion. 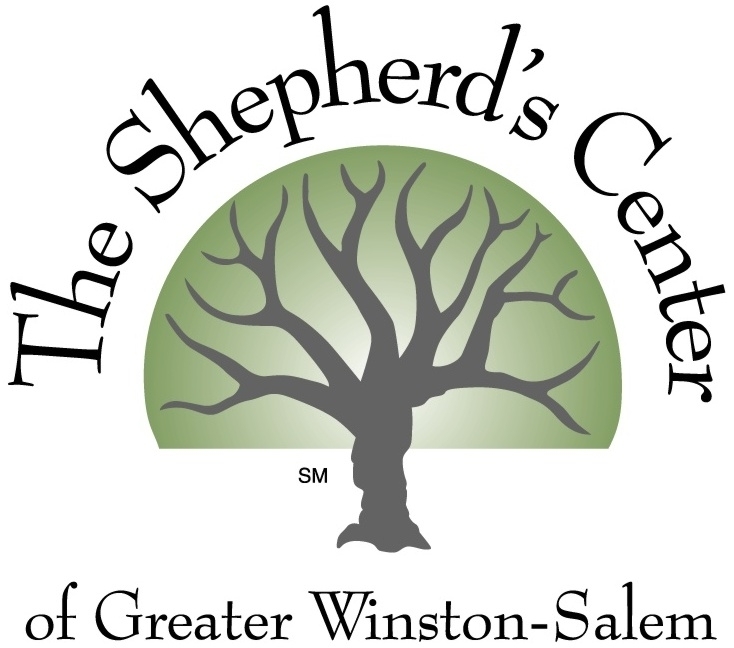 The program is Monday – Thursday 9am – 1pm. Applications are due May 10, 2019. Cost of the program is $70. Scholarships are available. People across the nation & the world have mourned the violent murder of 33 year old L.A. rapper Nipsey Hussle. In Nipsey's death, many saw the terror & tragedy that far too many of our lesser known kinfolk have suffered. His murder caused so many to re-live the all too familiar pain of seeing the beauty, gifts, & potential of our brightest taken far too soon. How do we stop the violence in our communities & our world? How do we become instruments of peace? These are age-old questions that were also on the mind of oppressed people in the 1st Century who had looked to another 33 year older from a "hood" called Nazareth for hope & freedom. Is there a connection between the pain of 1st century Nazareth, the pain of Crenshaw, & the pain of Northeast & East Winston? Join The Drum Majors Alliance on Friday April 19th @ 830pm as we wrestle with these questions, call our community to embrace the things that make for peace, & remember the death of Jesus AND loved ones we've lost to violence this year. We cannot afford to close our eyes to the pain & injustice all around us. We must remember The Cross & #StayWoke! In 1619–exactly 400 years ago—the brutal, shameful, & sinful Transatlantic slave trade began. Millions upon millions of image-of-God bearing African peoples were enslaved, exploited, abused, raped, dehumanized, & killed in its wake. Though 400 years removed from its inception, the U.S. has yet to truly confront the legacy of chattel slavery & as a result we are haunted by its after-life. Where do we go from here? How do we heal? How does a nation repair irreparable damage? socio-political moment in which "reparations" is on the lips of so many, what do we learn from "the mouth" of Jesus, the Prophets, & the Torah? Join the Drum Majors Alliance on Thursday April 18th @ 7pm for a panel discussion exploring these pressing questions. Volunteer Orientation: We need your help to: Transport people to medical appointments and grocery shopping, visit homebound elders, provide respite to caregivers, and make minor home repairs. Join us on Thursday April 18th, 10:00-11:15 to learn more! Join the Drum Majors Alliance for this year’s Palm Sunday “Freedom Ride”. The Freedom Ride is a local pilgrimage that explores & exposes both historic & present injustices in the city of Winston-Salem. It is a unique time of prophetic truth-telling, prayer, singing, and protest against every force that oppresses & divides our city. A diverse crowd of about 40 will hop on a bus & travel to historic, symbolic, and strategic locations in Winston-Salem. From the Montgomery Bus Boycott to the Freedom rides of the 60's, buses were an important sight of resistance & resilience in the face of social death & suffering. Our prayer is that each stop, each turn, and each story lifted up on the bus will push the Church & people of good conscious to participate in the present struggle for freedom, beloved community, and true peace locally & abroad. Community Day 2019 is a free event for the city. Community partners will be here to share valuable information, resources, services and gifts. A free lunch, games, and a Kids’ zone are also included. This free event is scheduled for Friday, April 12th from 9am-4pm and includes lunch for registered participants. You may register for the event by visiting the Eventbrite page (see link below) or by visiting the Spatial Justice Studio’s Facebook page. to help you discover more about who you are and how that can relate to your service. The 2019 Social Mobility Summit, hosted by Winston-Salem State University, will highlight faculty research, student involvement, and individual stories. 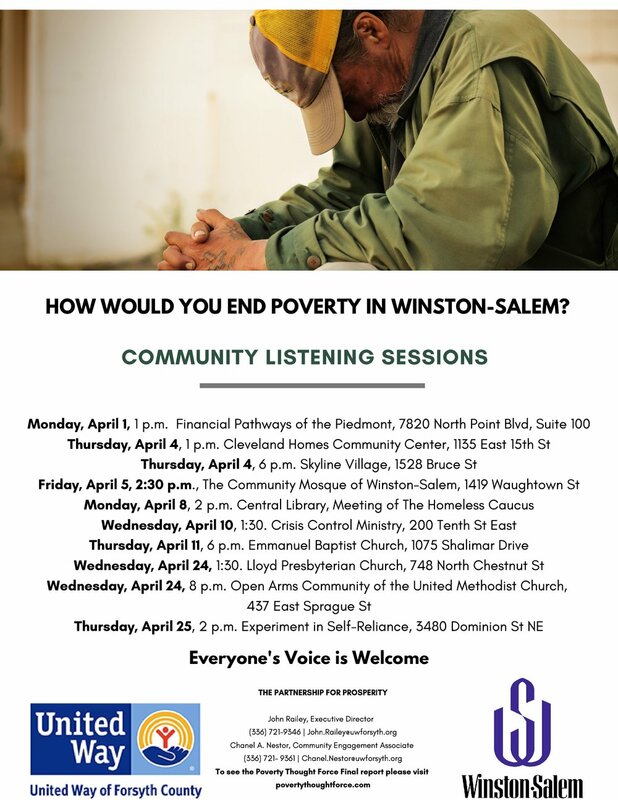 The program offers special insight into the challenges facing the lowest income groups in Forsyth County, NC and beyond. The Summit is open to the public and there is no cost to attend. Educators, administrators, community organizers, civic leaders, and anyone with a passion for positively impacting economic mobility and student success are welcomed and encouraged to attend. Knollwood Baptist warmly invites you to the April presentation in this series of Community Conversations. Tuesday, April 2, 12-1 pm "Restorative Practices in the Classroom"Evidence shows that common approaches to school discipline disproportionately and unfairly affect students of color. Come join a crucial discussion of alternatives -- restorative practices in the classroom.With Valerie Glass, Founder and Director of Triad Restorative Justice, who has trained educators and community leaders in restorative practices in classrooms and community settings.And Ebony Jason, currently a 9th grade math teacher at Carver High School, with experience as a school administrator and educational leader. All are welcome -- please feel free to invite others and to forward this email.Mark your calendar -- our May presentation will shift to a Monday, May 6 -- same time and place.